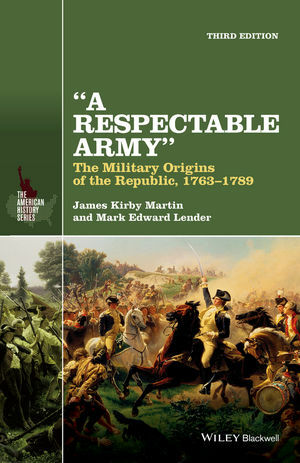 A fully revised and updated third edition of the most established and innovative historical analysis of the Continental Army and its role in the formation of the new republic. James Kirby Martin is Hugh Roy and Lillie Cranz Cullen University Professor of History at the University of Houston. He has written seven books, including Ordinary Courage: The Revolutionary War Adventure of Joseph Plumb Martin (4th edition, 2012) and Benedict Arnold, Revolutionary Hero: An American Warrior Reconsidered (2000). In addition to his scholarly work, Martin has advised and appeared on television programs airing on the History Channel and has recently begun a successful foray into feature film scriptwriting. Mark Edward Lender is Professor Emeritus of History at Kean University. He is the author or editor of several books, including “This Honorable Court”: The United States District Court for the District of New Jersey, 1789–2000 (2006) and Drinking in America: A History (with James Kirby Martin, 2nd edition, 1987). Lender is the recipient of the McCormick, Cincinnati, Keller, and Booth Prizes, as well as the Richard J. Hughes Award, the highest honor granted by the New Jersey Historical Commission.